Brucellosis is an infection caused by the bacteria Brucella. It is zoonotic, which means that it is a disease that is transmitted from animals to humans normally through the ingestion of contaminated food products. The most common way people get infected is by drinking raw milk. Brucella bacteria are aerobic organisms that thrive in the reproductive organs of their host animals. Normally they cause spontaneous abortions or sterility. Bodies of the host animals try to fight off the bacteria but excreting them through their urine, milk, placental fluid, or any other type of fluid. Scientists have observed that of the eight known species to carry Brucella, four have the highest human pathogenicity. Consumers should be extra cautious when drinking milk or eating food made from sheep, pigs, cattle, and dogs. It is estimated that around 500,000 cases of Brucellosis are reported globally each year. This number is said to be a significant drop from only 10 years ago when Brucellosis was considered a major health crisis. All the same, health organizations warn the public that Brucellosis is still a serious medical condition. Most cases occurring in the U.S. are due to the consumption of imported unpasteurized dairy products from Mexico. Around 60 percent of human Brucellosis cases in America occur in California and Texas. Brucella strains can infect humans through open wounds, mucous membrane, or by the ingestion of contaminated meat. The early symptoms of Brucellosis include fever, sweating, and fatigue accompanied by muscle pain, loss of appetite, and skin lesions. A blood test is done to diagnose the condition. Failure to treat the condition immediately can result in organ damage, particularly the swelling of the heart, testicles, liver, and/or spleen. There have been reports of patients developing severe neurological symptoms and suffering from depression. The incubation period of Brucellosis is, on average, two to four weeks after the initial exposure. The disease is characterized by symptoms similar to other conditions that affect the gastrointestinal tract. However, the bacteria can spread to other systems and cause damage. It is crucial that the condition be spotted early so that a complete antibiotic treatment plan can be designed and followed. The best way to avoid Brucellosis is to not handle contaminated food from the four animals mentioned earlier. There are no foods that are known to prevent the condition. There are herbal treatments that can alleviate certain symptoms of the bacteria infection. Add four drops of fennel and two drops of sandalwood essential oil into one tablespoon of coconut oil (or any other type of carrier oil). Mix these oils well and add this to a bathtub filled with warm water. Soak in the water for at least 15 minutes. This should be done once a day. Add three drops of ginger and two drops of Bergamot essential oil into one tablespoon of coconut oil (or any type of carrier oil). Mix these well and add this to a bathtub filled with warm water. Soak in the mixture for around 15 minutes. Do this once every day until you feel better. These treatments should be done in conjunction with the antibiotic plan recommended to you by your doctor. Brucellosis is a zoonotic infection typically caused by the ingestion of contaminated food products from sheep, cattle, pigs, and dogs. 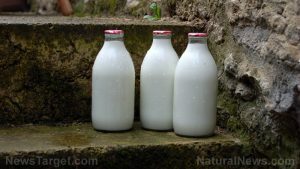 Those most at risk of developing the condition are those who consume lots of raw milk or those that regularly interact with these animals.